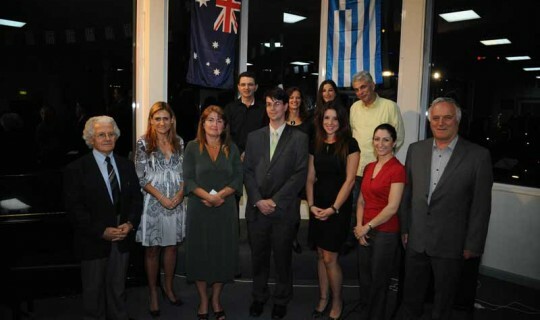 The 2012 Greek History and Culture Seminar Series was officially launched by Ms. Eleni Lianidou, Consul General for Greece in Melbourne and Dr. Christopher Gribbin, University of Melbourne Fellow at the Greek Community Centre on Thursday 1st March 2012. The Antipodes Festival Glendi on Lonsdale Street which Prime Minister Julia Gillard, Federal Opposition Leader Tony Abbott, representatives of the Victorian State Governments, Melbourne City council and the Archdiocese attended. The Consul General officially launched the Series and expressed how impressed she was by the Greek Community’s work and efforts highlighting that the Seminars play a significant role in the promotion of Greek History and Culture in Australia. Dr. Gribbin, the key speaker for the evening made reference to the importance of Ancient Greek civilization and its great influence on Modern Western Civilization. He noted that the first part of the seminar program, which focuses on Ancient Greece will cover a wide variety of topics and interests which explore the lives of the Ancient Greeks. 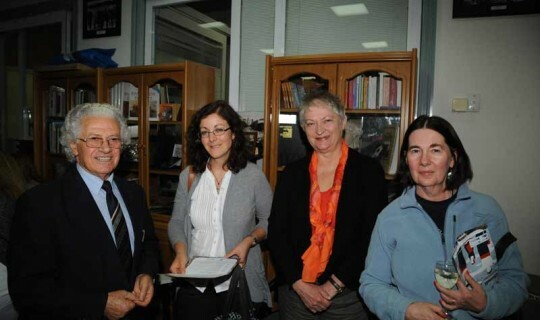 The Seminars are conducted by the Greek Orthodox Community of Melbourne & Victoria in conjunction with La Trobe University and are held on Thursday evenings, 6:45pm at the Greek Community Centre.